3 lbs. of super large whole cashews, roasted and lightly salted to perfection. 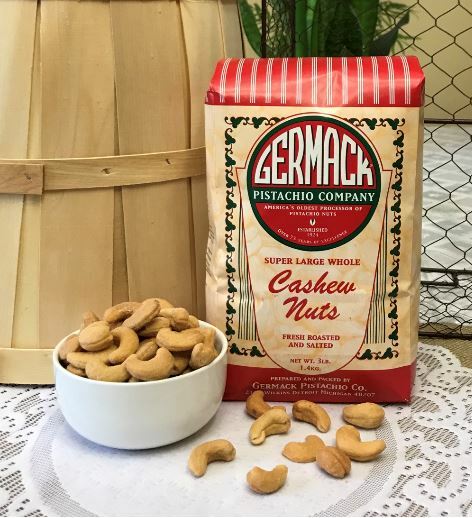 We artesian roast our fancy cashews in pure canola oil with a touch of salt, then pack them into our signature paper bags to lock in freshness. These will surely be the best tasting, biggest cashews you will find that are roasted in Michigan. This is a great gift any time of year but is a very popular holiday gift item.